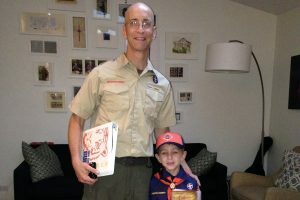 As many of you know, Riverside Pack 24 lost Tom Lombardo, one of our Den Leaders, to lung cancer this past fall. As an Eagle Scout, Tom dedicated his life to the principles of Scouting. In that spirit, Pack 24, along with Layla and Jamie Lombardo, have created the Tom Lombardo Memorial Fund. All proceeds will benefit Scouts in underserved communities — providing funds for uniforms, activities, camping and so much more. Please contribute whatever you can — every bit counts — to help us honor Tom’s legacy and provide opportunities for all Scouts to thrive and experience everything Scouting has to offer. Thank you and please share with any friends and neighbors who knew Tom, as well as those that believe in the mission of Scouting and would like to contribute. Camp Tecumseh sibling registration now open!